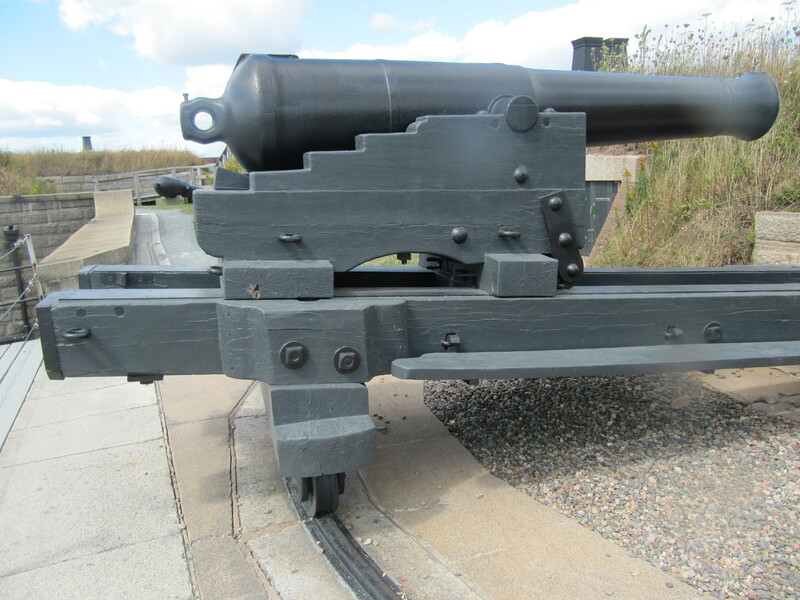 We headed down toward Sydney and went to Glace Bay to visit the Miners Museum which was very highly-recommended and it definitely didn’t disappoint. We ate some lunch at the Miner’s Village Restaurant then popped over to the museum. We checked out the exhibits which were very informative and interesting. The piece de resistance was the Mine Tour. After donning hard hats and capes to protect from the low ceilings and dampness, our guide (a former miner) provided an introduction and history about his experience during his long career in the mines. Abbie was incredibly engaging and the stories he shared really made things come to life. Then, off we went into the mine! For a bit of the way down, we were able to stand up but once we got into the mine itself the ceilings were 5′ high and 4′ at times. We were grateful for the hard hats! We crouched along the way and it was hard to imagine working an entire shift like that, let alone day in day out. We learned about the different jobs that the boys, men and animals handled in the mine and learned about the labour disputes that were common at the time. It was very disheartening to hear about the control and the practices the companies participated in. This tour was one of the highlights of the trip. Today we headed south to the Fortress of Louisburg which is a reconstruction of the fortified town and fortress of Louisburg. I’m a big history buff and enjoy pioneer and heritage villages but this one took the cake! All the staff are in period costumes and in character throughout the entire village. And the village is huge. We arrived at 9:45 and left at 3:30! There is so much to see and do, one can easily spend the whole day there exploring all the buildings, chatting with the staff, participating in the activities offered, at whatever pace you like. There’s a short history on each building in the booklet they provide upon entry and what it’s purpose was back in the day. In buildings that provided a service (e.g. inn, bakery, etc.) there were staff on site to provide information and tell stories. 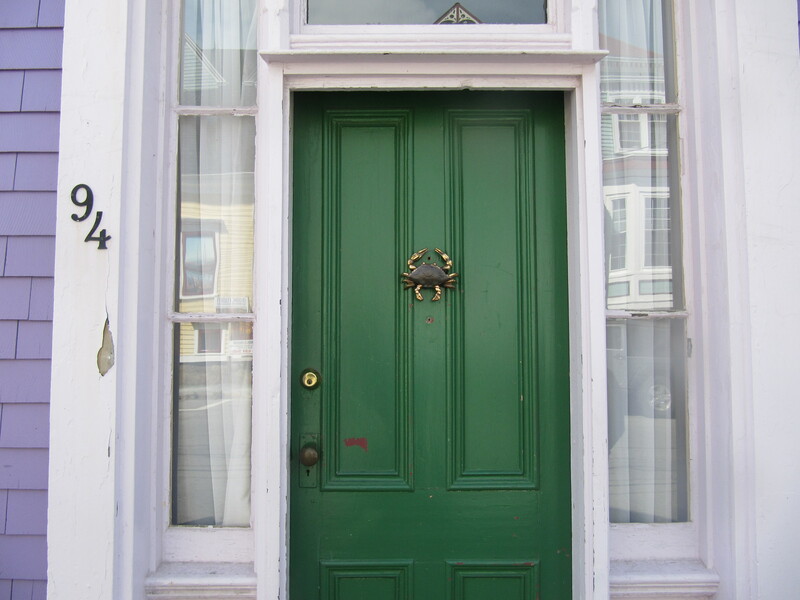 For the buildings that were citizens’ homes, they often included an exhibit such as household goods, the history of building/materials, the history of the excavation, etc. Excellent use of the different spaces and everything we experienced or visited was fantastic. My favourite part was eating at the inn/hotel where the menu was simple (soups, bread, cheese, ale, wine and a couple of heartier meat dishes, other beverages and some dessert options). All served on metal plates and cups, only with a spoon and the largest napkin I ever saw (it was used to cover yourself with to protect your clothes). Seating was family style on long tables and we met some great people at lunch. I loved it. 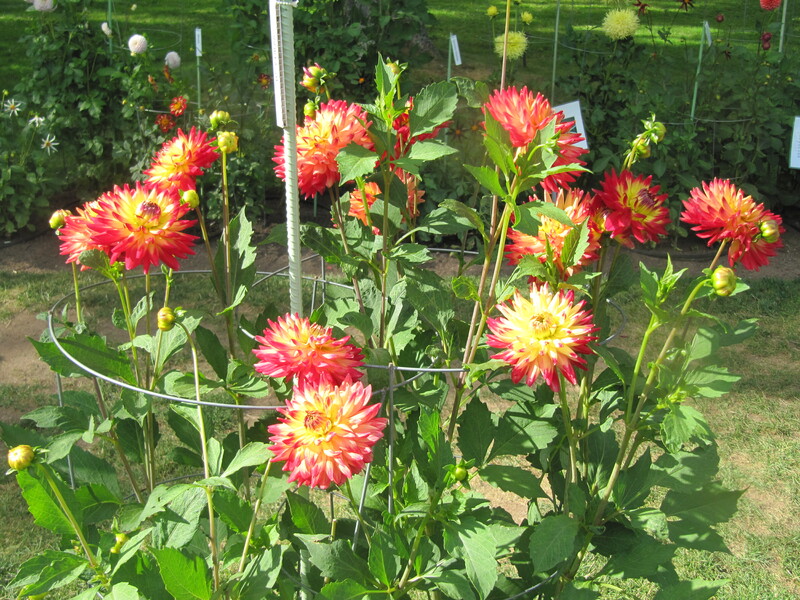 The homes often had gardens in their yards with actual produce and herbs growing. some had farm animals (geese, goats, chickens, sheep, etc). 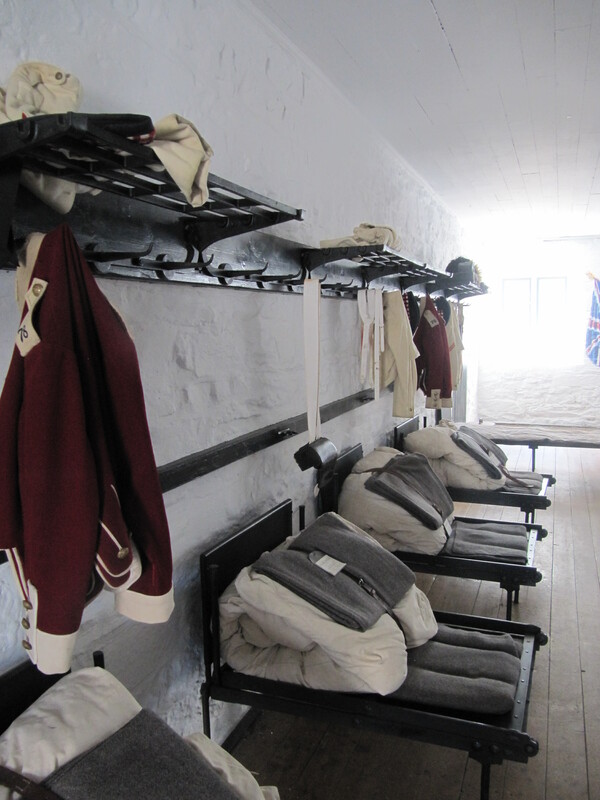 On the military side of things, there was the barracks, the bastion, the governor’s apartments and the ramparts. All very interesting. We decided not to take the guided tour and preferred to roam around at our own pace. We did however sign up for the rum tasting, which was in the Inn and led by the most hilarious “servant” ever. She played her part perfectly and explained how the rum business came to be and how the different classes in the town partook of the rum. We enjoyed two samples – one straight and one mixed with punch. All in the setting of an inn back in the day. It was awesome. Fantastic way to spend our last day in the Maritimes! We took the ferry from PEI to Caribou, NS to begin the next leg of our trip and the one I was most excited about: Cape Breton! 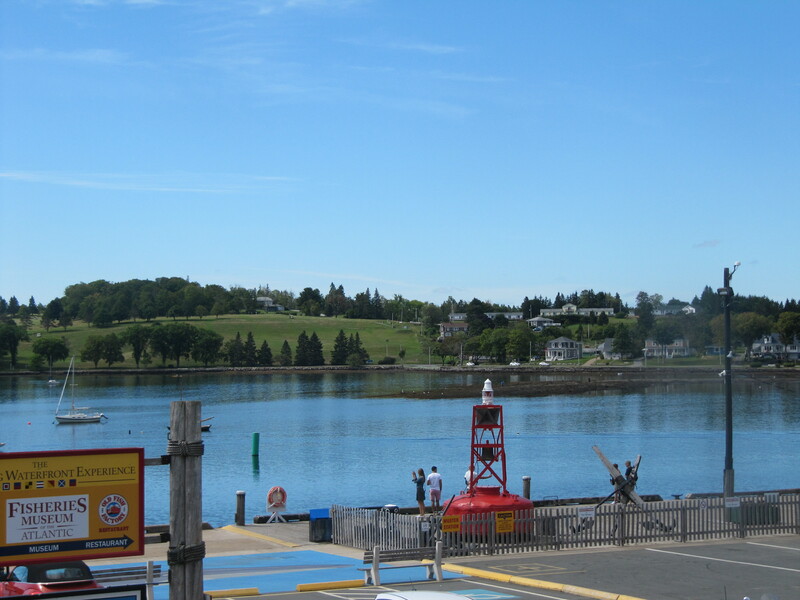 After the ferry ride we stopped for lunch in Antigonish then continued on to Baddeck. We stayed at the Silver Dart Lodge and it was amazing, from the view to the food at the restaurant on site (McCurdy’s) – great spot to kick off our Cabot Trail adventure. We took a stroll in the town and walked along the water near the lodge prior to dinner – it’s very scenic, peaceful and relaxing. Food List Items: Seafood Fettucine (including Digby scallops, mussels, shrimp), Cape Breton desserts (apple crisp, bread pudding, oatcakes). We headed onto the Cabot Trail and made several stops for photo ops at the lookouts along the way. 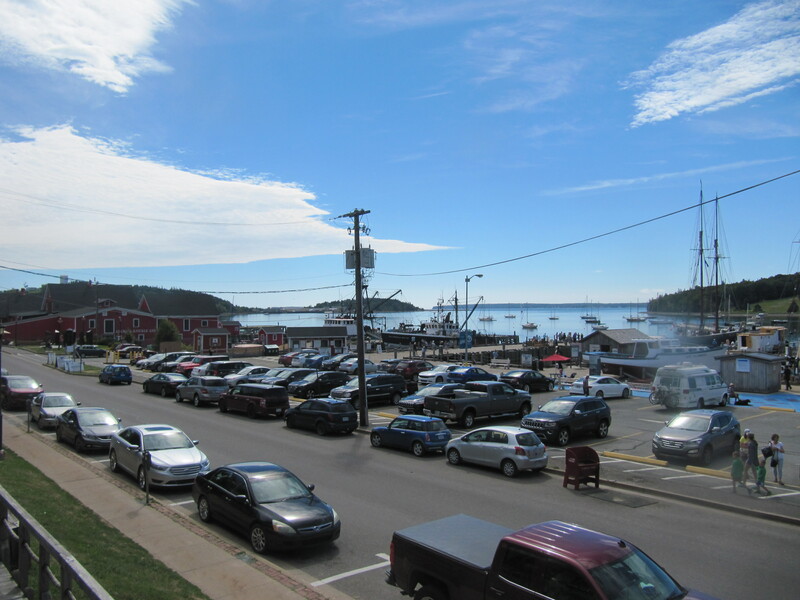 We stopped for lunch (Main Street Restaurant & Bakery – You Gotta Eat Here), then at the visitor’s centre in Ingonish to pick up our park passes (Cape Breton Highlands National Park) and got ready for a day of hiking. The first trail was a very short (but steep!) one – the Freshwater Lake Lookout. steps almost all the way up but the view was so worth it. Next, we stopped at Ingonish Beach where the trailhead of the next trail was and we took pics of the beach while we were there – very pretty! The second trail was the Freshwater Lake trail and it was about 1.7km and flat. We didn’t see much wildlife here and certainly no coyotes. The next stop was the MIddle Head Trail. This was a trail aloong a peninsula and the views were amazing. It was about 4km all in all. We stopped for dinner then drove up to Cape North where we stayed at a B&B for the night. It was so quiet in the night up in the middle of nowhere. 🙂 It was great! We had a great breakfast and met some fine folks at our B&B. We were off to an early start since our target today was the Skyline Trail, 9.2 km of trail and the chance of seeing a moose. (We didn’t see any but the trail had amazing views!). There are two options for the trail – you could take the “right” for a more rugged (and longer) trail experience, of the “left” for a gravel path (and shorter) experience to the boardwalk/steps at the end of the trail. We opted to start with the right and come back on the easy one. It was windy up there!! We had to remove our hats or the wind would have done it for us. 🙂 We grabbed a bench and stopped for a snack and water enjoying the view, then headed back. After lunch in Cheticamp, we headed down to Inverness to stop at the Beach boardwalk which was gorgeous – on one side there was the beach and on the other, a golf course. Wow! Then off to Margaree Valley to the next stop at the Normaway Inn. 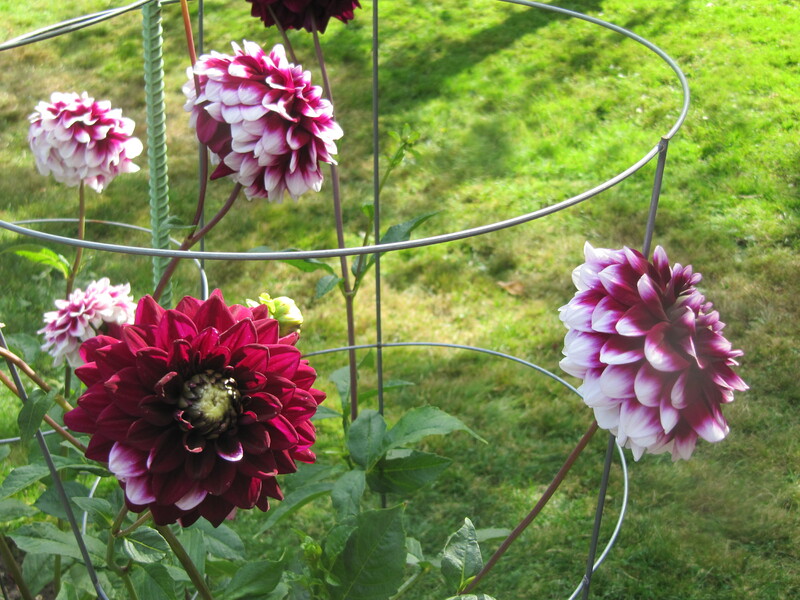 The property is absolutely beautiful – it felt like we were at summer camp. 🙂 We had dinner reservations on site and enjoyed that and relaxed for most of the evening. I also loved the tech-free room – no TV, no phone, they had wi-fi and this radio (functional with a hidden cassette player in the lid). The next morning, we took a walk around the grounds and this cat escorted us all the way and back. 🙂 Cue the animal whisperer (Chris). Off to Sydney for our last leg of the trip! We left Moncton and headed toward the Confederation bridge to make our way to PEI for the next leg of our trip. I was surprised at how long the bridge actually was! After arriving in Charlottetown, we had some lunch, then explored old town. We walked around the outside of Province House (closed for renos) then followed the path to the temporary exhibit of a reproduction at the Confederation Centre of the Arts. They also had a 20-minute movie about the Confederation which was actually quite good. After that we walked down to the waterfront and strolled along the boardwalk to shop and have some ice cream at Cows. 🙂 We checked into our Inn and had supper at another restaurant featured on the Food Network “You Gotta Eat Here” show called The Churchill Arms – they had some amazing curries! Didn’t take many pics today as it was a quiet day. There were lots of birds sitting on the railing and I managed to take a pic while we zoomed by – after many unsuccessful attempts. 🙂 I swear he’s mocking me (“Silly tourist…”) – you can see it in his eye! Today was one of my favourite days of the trip. 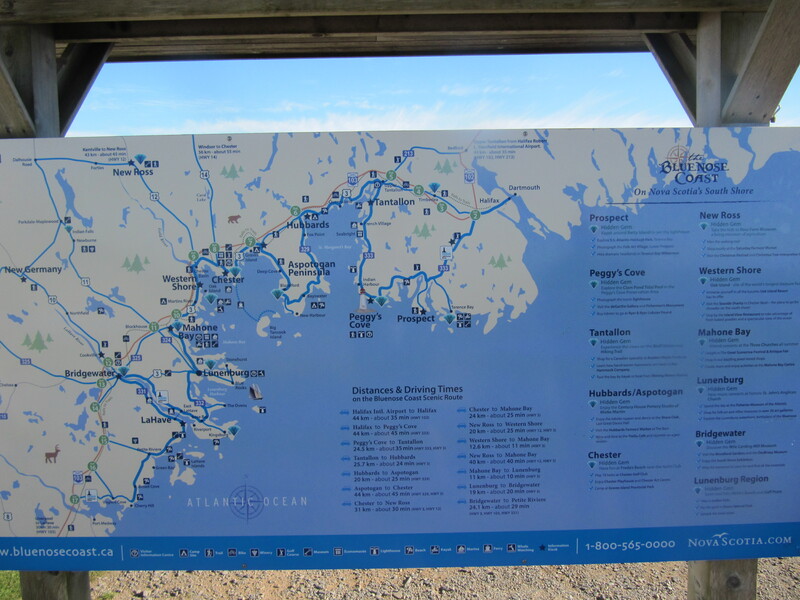 We were touring the island of PEI and had several stops planned. The first was to drive up to the PEI National Park and visit the Greenwich Dunes. It was a rainy and windy day but we dressed appropriately and went for it – my research told me it would be worth it and boy, was it ever! The trail to the dunes is varied including forest trail, a floating boardwalk (to protect the land / flora) which leads up to the best view I’ve had on a hiking trail ever – a beach! A deserted one at that. The boardwalk itself was very sturdy – at first I was nervous (I hate suspension bridges with a passion) but as soon as Chris told me it was floating on top of the water, that instantly put my mind at ease. We stopped for a bit to take pics (I literally took tons, these are the highlights) then made our way back. 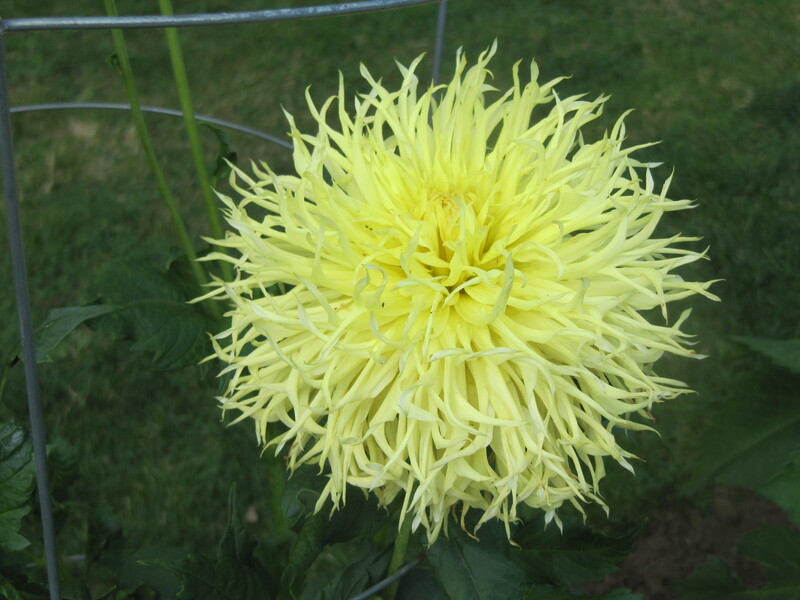 I was on cloud nine – how could the day get any better? It CAN – read on!! Can you spot the bird in the photo below? 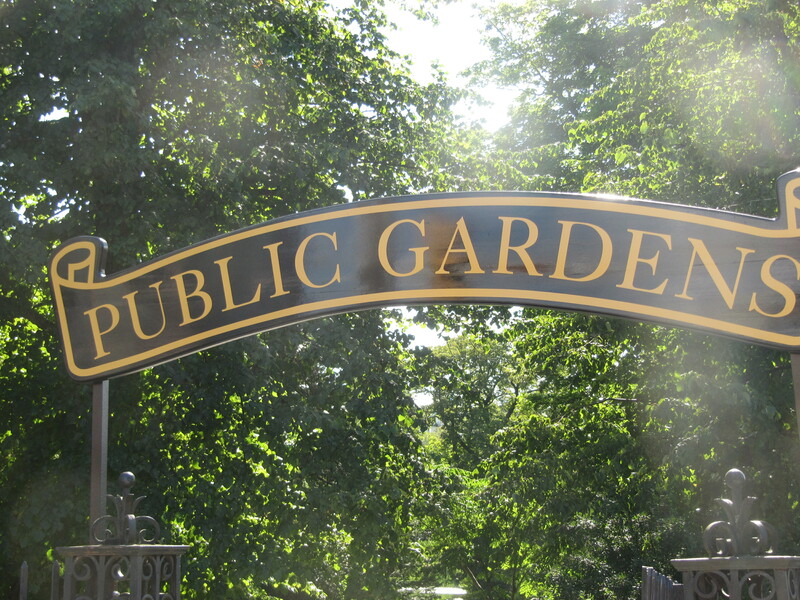 After this park, we stopped for lunch at Rick’s Fish & Chips (You Gotta Eat Here). Then we headed out for some exploring and stopped at the Great Canadian Soap Company which is a fantastic shop where they make and sell products made with goat milk. The goats are on site. It smelled heavenly as soon as you approached the door and they carried so many scents (and unscented!) – too numerous to name – soaps, lotions, bath salts, you name it. And they have an online store as well. Awesome! We then drove around the north side of the island including Brackley Beach, North Rustico and Cavendish. We didn’t stop for any Anne of Green Gables visits (not huge fans but respect those who are). We stopped at the PEI Preserve Co and had to buy some after having a taste. Oh my. Our final stop was for dinner at New Glasgow Lobster Suppers. We had heard good things from family members who had visited before and what is a trip to the Maritimes without a lobster supper?! I ordered the 1.5lb lobster, Chris had fish (not a shellfish person) and with all the dishes that are included with the meal (mussels, soup or chowder, bread, trio of salads (cole slaw, garden, potato) and dessert (homemade PIES!!! )), it was a dinner to remember. What a fabulous day! We headed straight to the Hopewell Rocks from Halifax (too early to check into our hotel) and we scheduled our visit with the tides. 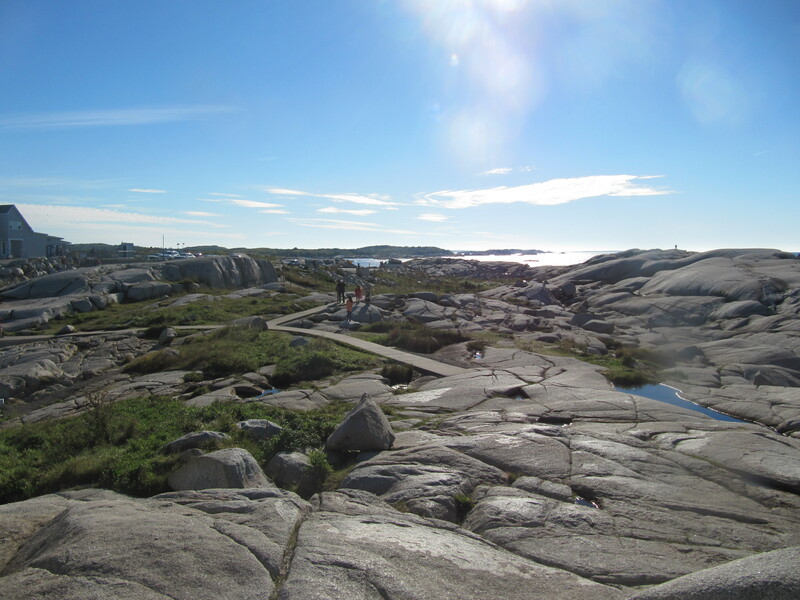 We arrived just after high tide, took some “before” pics, enjoyed the trails then returned to the “flower pot” rocks for low tide and a stroll on the ocean floor. That was really cool!! We had an active day planned for today which started with a hike of the Matthew’s Head trail at the Fundy National Park in the morning. It was very lush (more son than where we live near the Niagara Escarpment) and that was fun to see. We saw grouse (type of bird) walking around the forest floor which was funny (to us) since they looked like small chickens. The views were quite nice as well. We stopped in town (Alma, NB) for lunch then headed to our afternoon activity – a half day kayak tour. We are beginners, have never been kayaking before. I don’t know whose great idea it was to paddle on the Bay of Fundy with the highest tides in the world (ahem…yours truly) but we had a good time and Amanda our guide was awesome! Chris and I were in a tandem kayak and never felt like we would tip over. The paddling itself is a good workout and the scenery from the perspective of the boat/water is really beautiful. We paddled through some slightly choppy water to a beach (1.5 hours) and stopped for about a half hour for some snacks and storytelling (learned about the tides, etc. – very fun and informative!) and made it back in one piece. 🙂 The trip back was much easier – we barely had to paddle. Not sure if we would do it again – perhaps on calmer waters…LOL!! 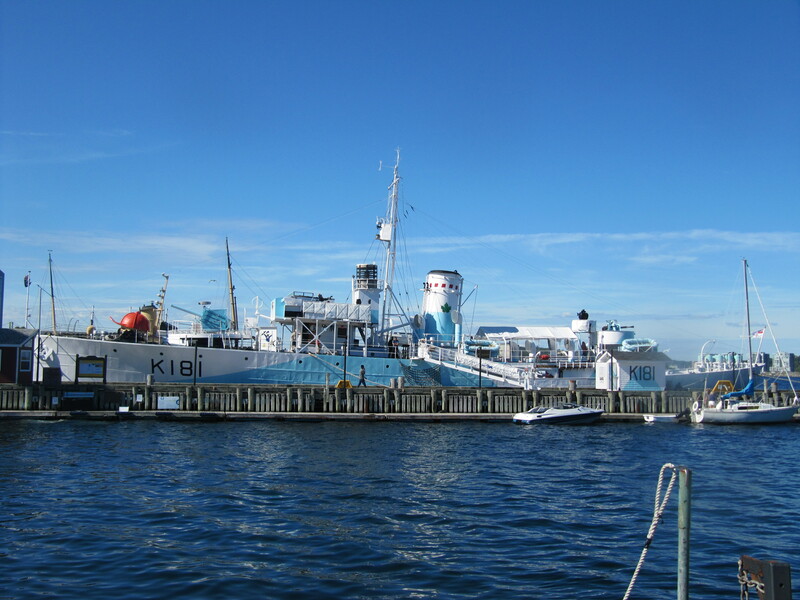 We flew into Halifax late morning and were able to park at our hotel, popped out for lunch then checked into our room. 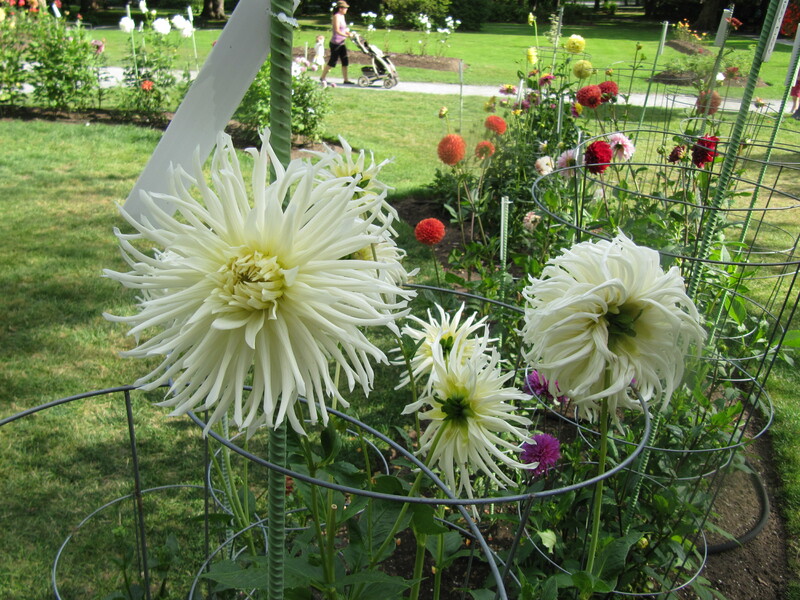 Our plan for the afternoon was to visit the Citadel and the Public Gardens. The Citadel was very interesting and we walked around and explored every nook and cranny. 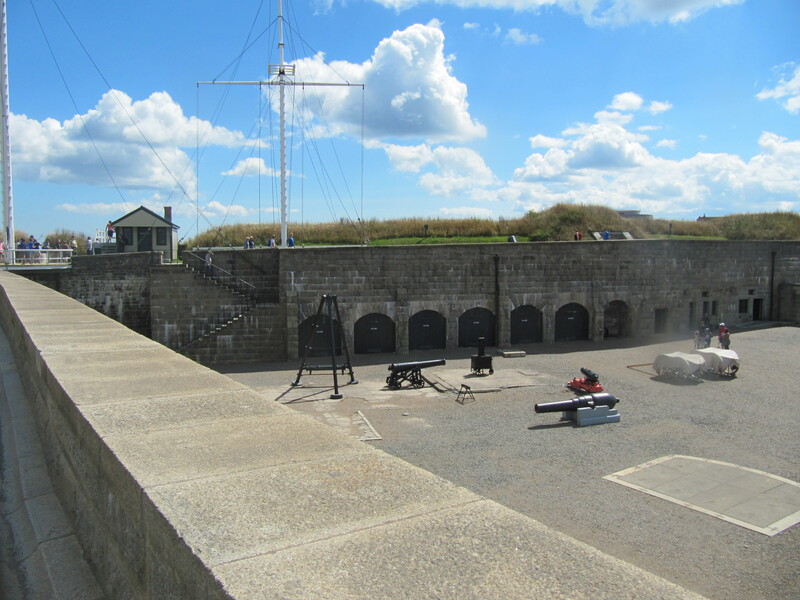 It was really an impenetrable fortress of a building and we learned a lot about the history of Canada and specifically the Maritimes in WW1 and WW2. 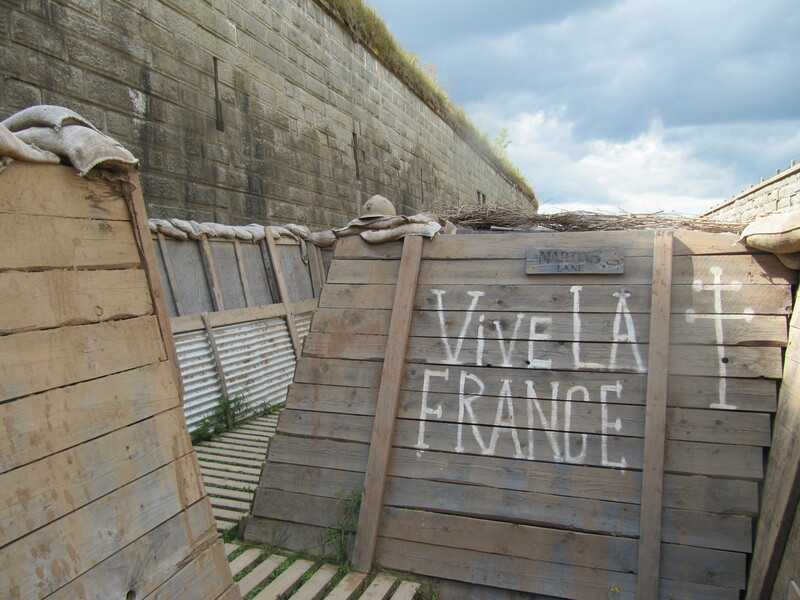 My favourites things at the Citadel were the exhibit of a “trench” and how they used trenches to minimize damage (e.g. should a grenade be launched, the damage radius would be smaller than out in the open). 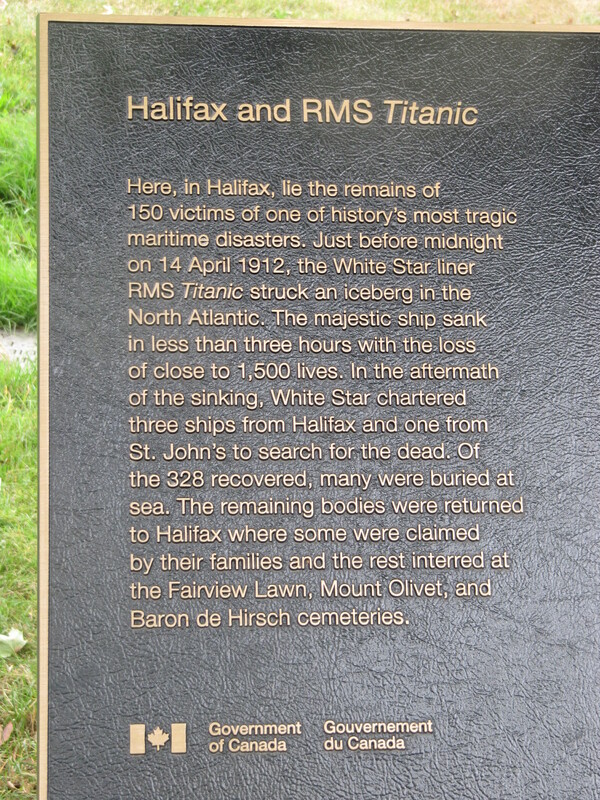 The info about the Halifax Explosion was also quite good and one event that I didn’t know very much about. 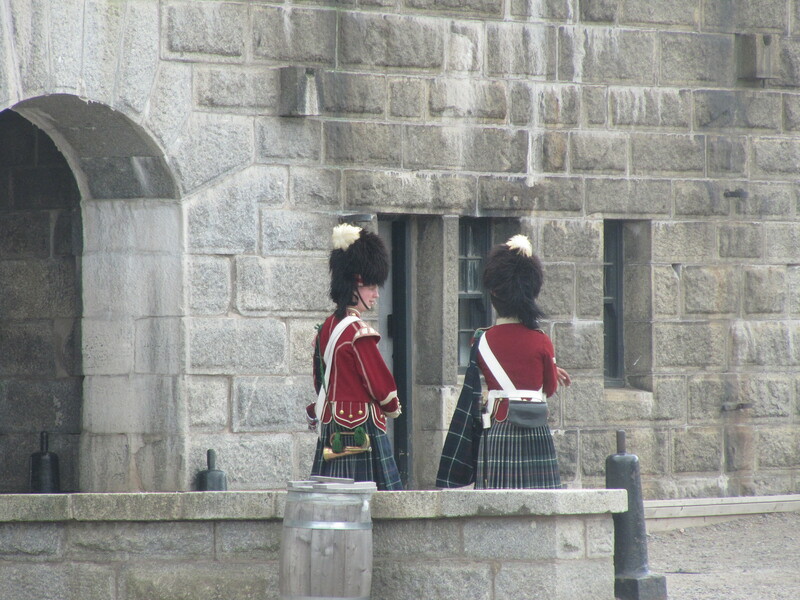 Seeing all the artillery, and the ambiance bits (bagpiper, change of the guard) added to the experience. 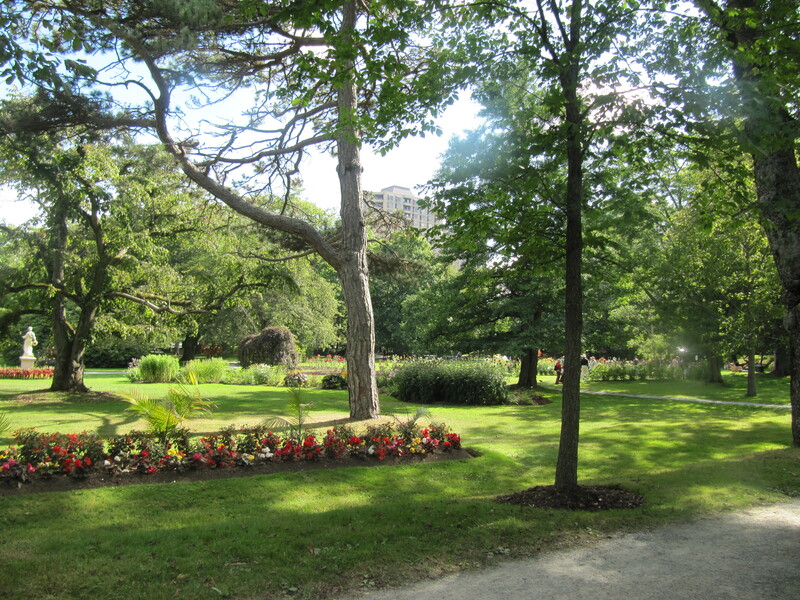 After the Citadel we headed over to the Halifax Public Gardens to rest our feet on a bench and people- and nature-watch. 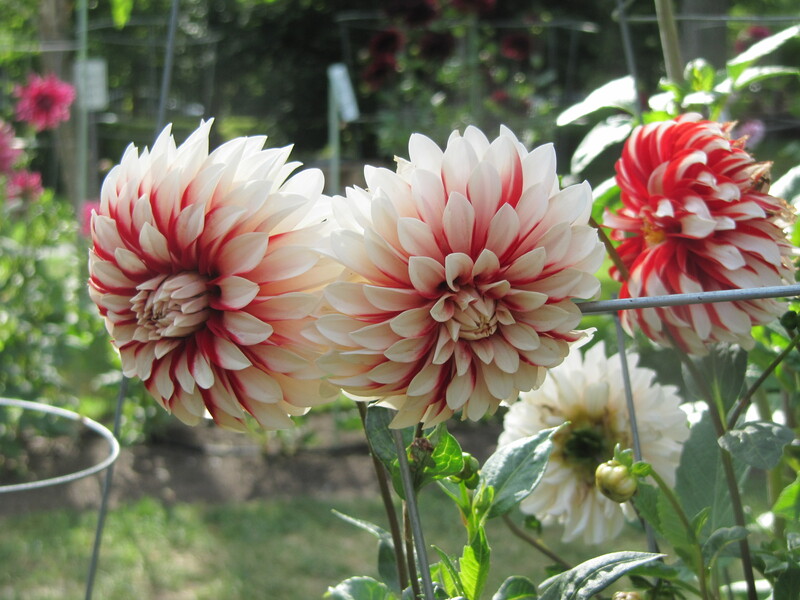 We were amazed at their collection of dahlias – so many varieties, each one more dazzling than the last. After the gardens, we stopped for dinner at 2 Doors Down (featured on You Gotta Eat Here) and had an amazing dinner and we vowed to return before we left Halifax. 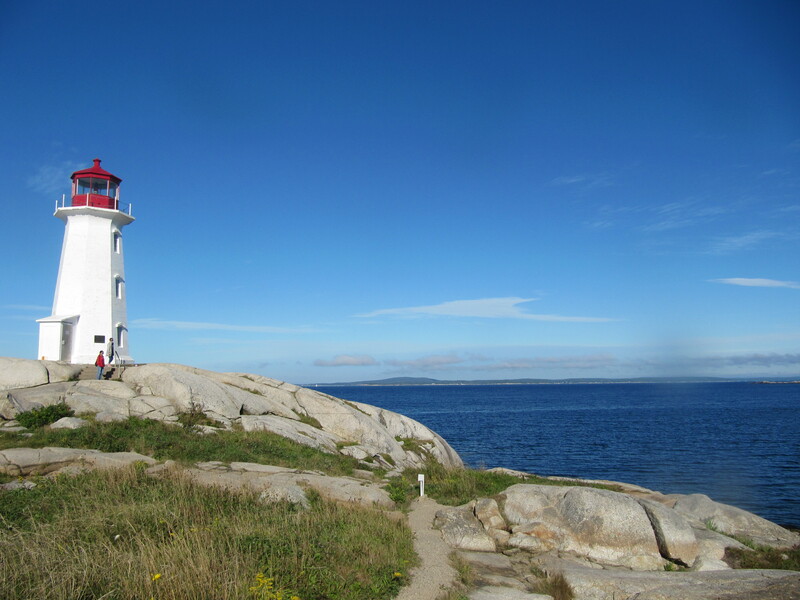 Today was our day trip to Peggy’s Cove and Lunenburg (and a drive through Mahone Bay). 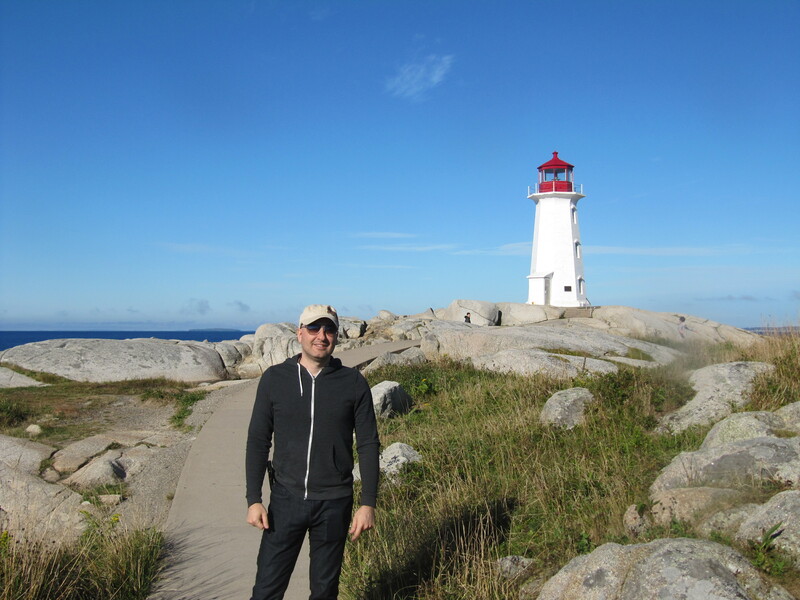 We got an early start and were one of the first to arrive at the most iconic lighthouse in Canada (possibly North America?). It was a gorgeous sunny day and we were able to get some great photos. 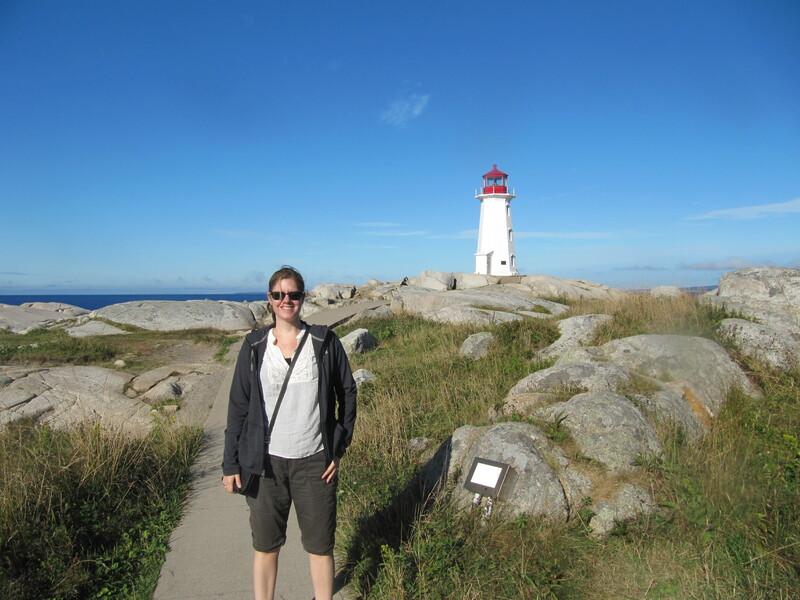 I went right up to the lighthouse (had to touch it!) 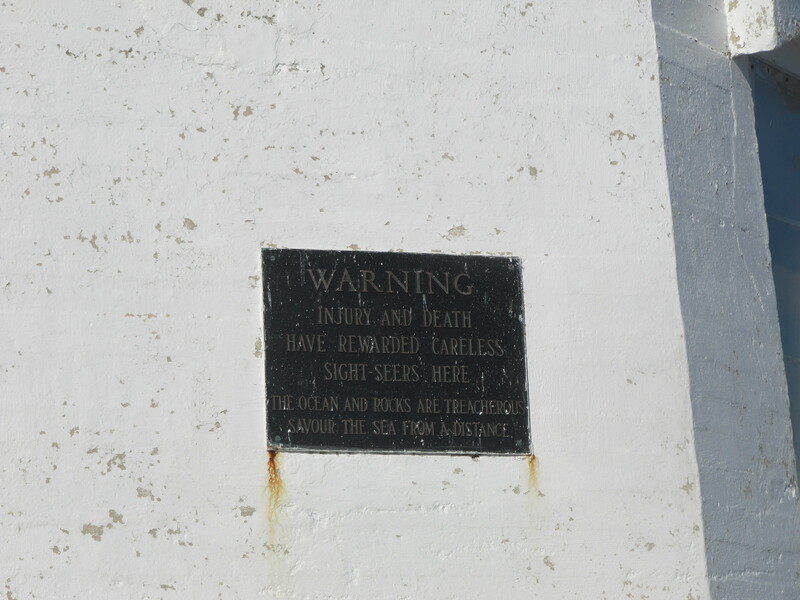 and saw the ominous sign warning visitors to be safe and stay back from the rocks/water. It was easy to see how it could be dangerous on windy days when the sea was more turbulent. 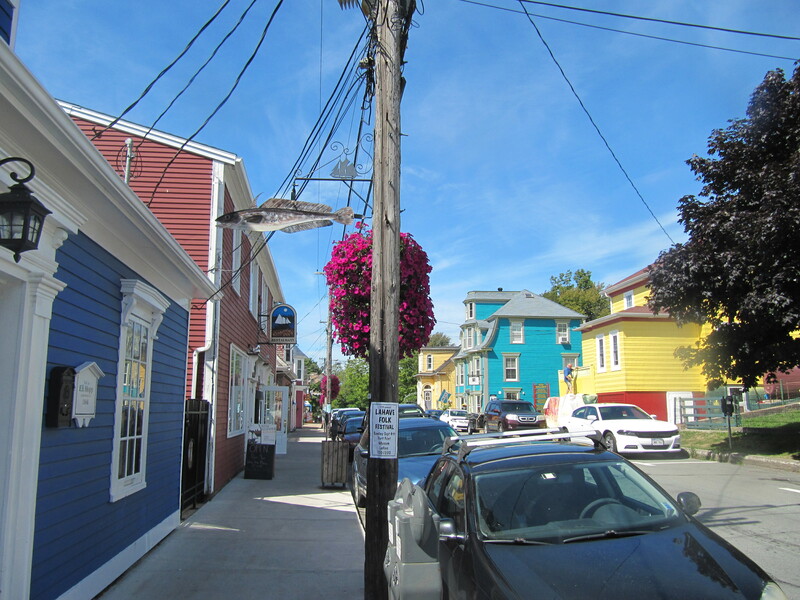 Lunenburg was a pretty fishing town and we had lunch overlooking the water. 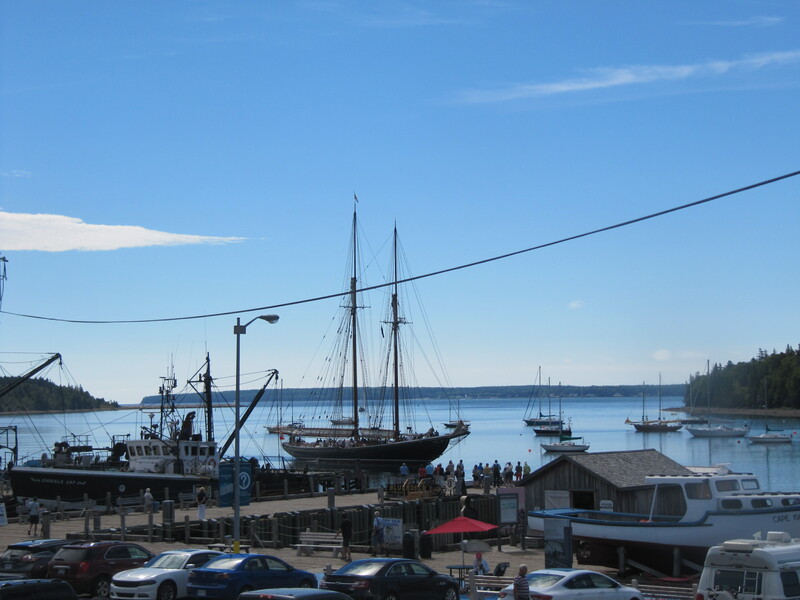 We got to see the Bluenose II – she was sailing and giving tours that day. Afterwards we strolled the streets of the town and shopped, stopped in a café for a bite, then drove back through Mahone Bay and back to Halifax. Since Day 3 weather was a bit iffy, we decided to explore the Halifax waterfront in the afternoon of Day 2 and walked all along the boardwalk in the sun. We had dinner at the Stubborn Goat near our hotel. The drive in the morning was very scenic (and gave new meaning to a winding road – holy moly the twists and turns didn’t stop) with pretty water views at every turn. Really beautiful. Today we explored Halifax some more and it was cloudy in the morning so we headed to the Maritime Museum of the Atlantic down by the waterfront. 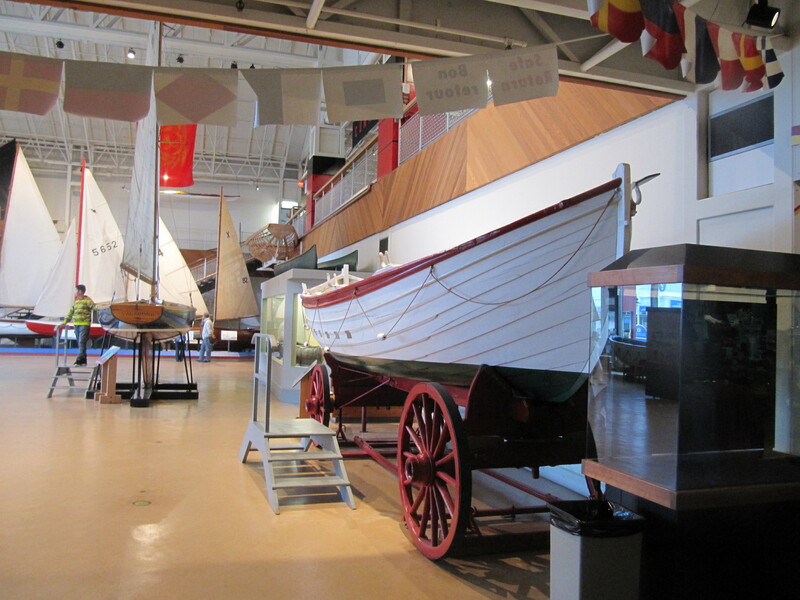 We were both pleasantly surprised at how good the exhibits were from actual small craft boats to the huge number of model boats, to the Halifax explosion and Titanic exhibits – it was a great museum. 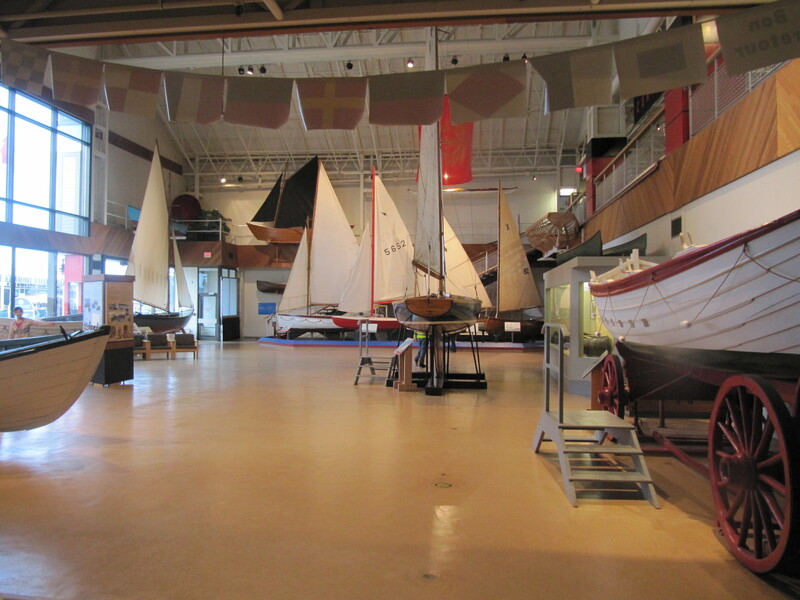 If you visit one museum in Halifax, this should be it. 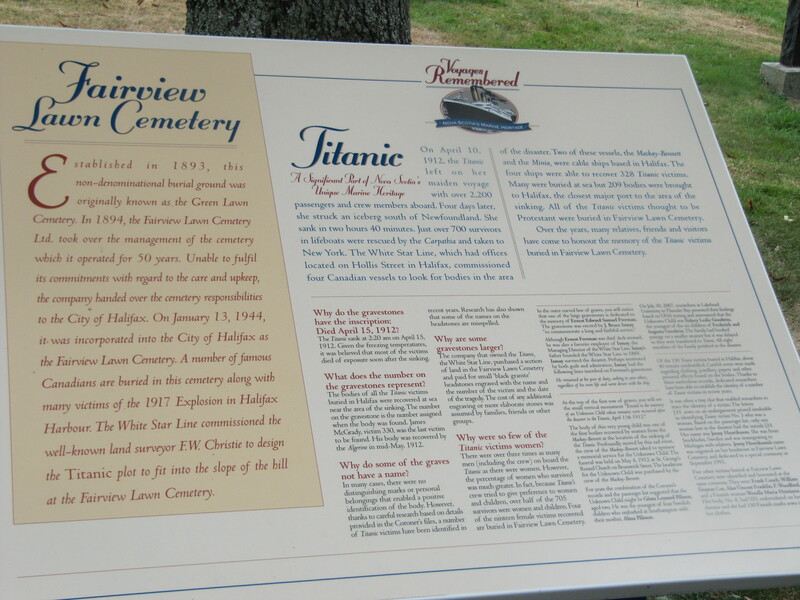 We popped over to the Fairview Lawn Cemetery to visit the Titanic memorial as well and returned to 2 Doors Down for diner. 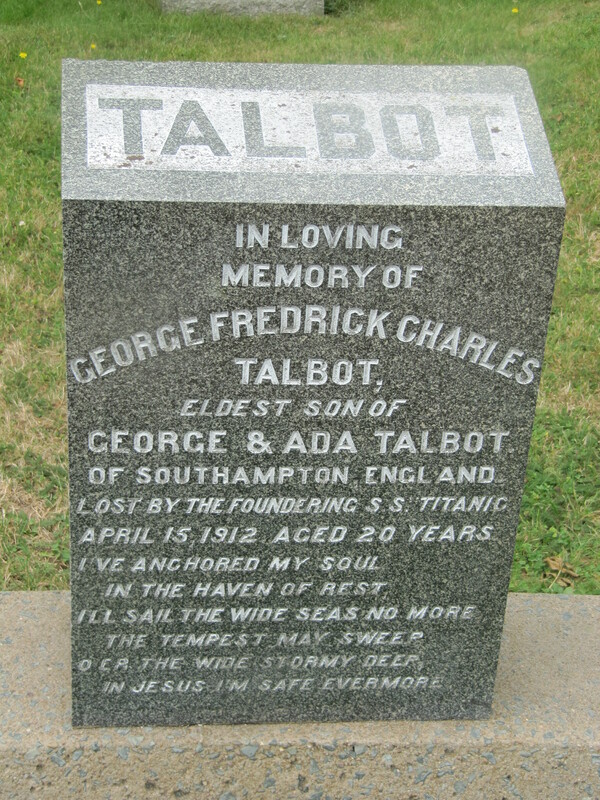 A lot of good information about the Titanic including menus for the different class passengers, the passenger list (including who was/wasn’t saved) and the transcript of the communication that night. Very well done. 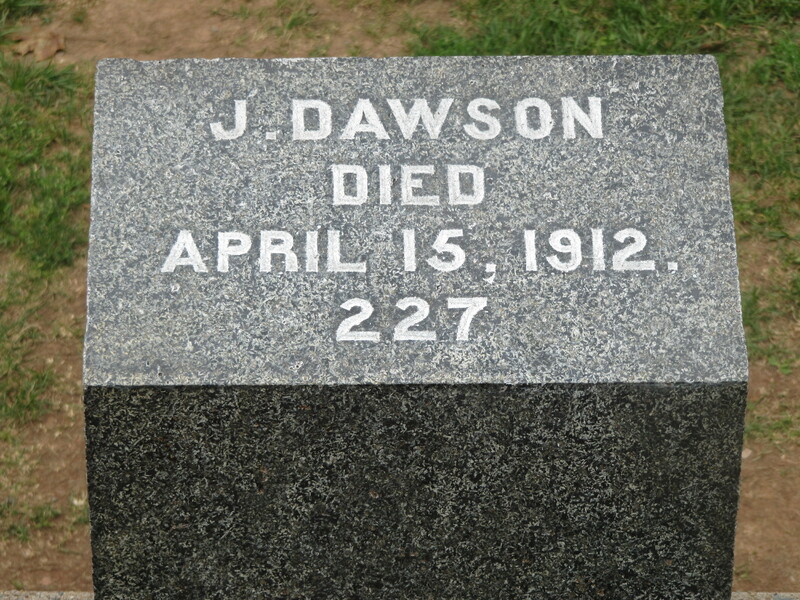 We noticed this one as well but it’s not the J. Dawson played by Leo in the movie Titanic, even if the name was the same. Food List Items: Lobster roll. Tomorrow we are headed to New Brunswick! 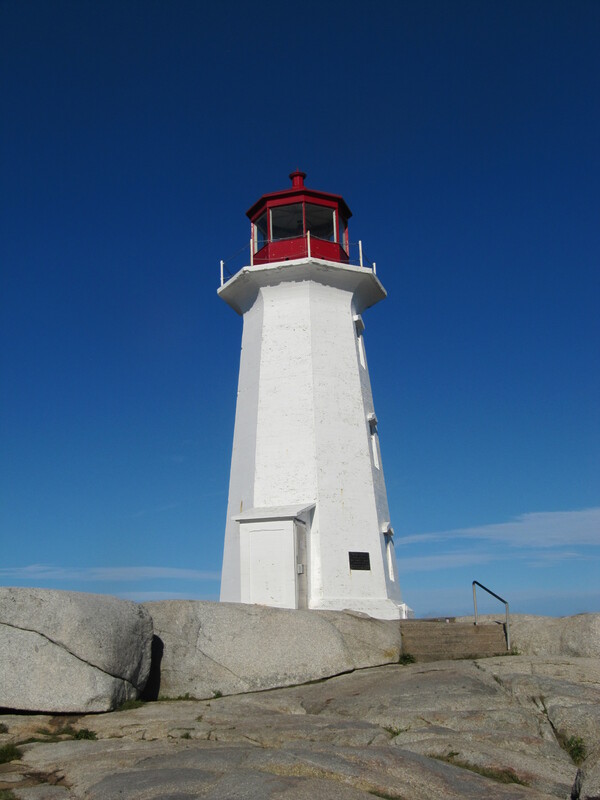 We decided to explore a piece of our own country for our vacation this year and started planning back in April for a trip to the Maritimes (specifically, Nova Scotia, PEI and New Brunswick). 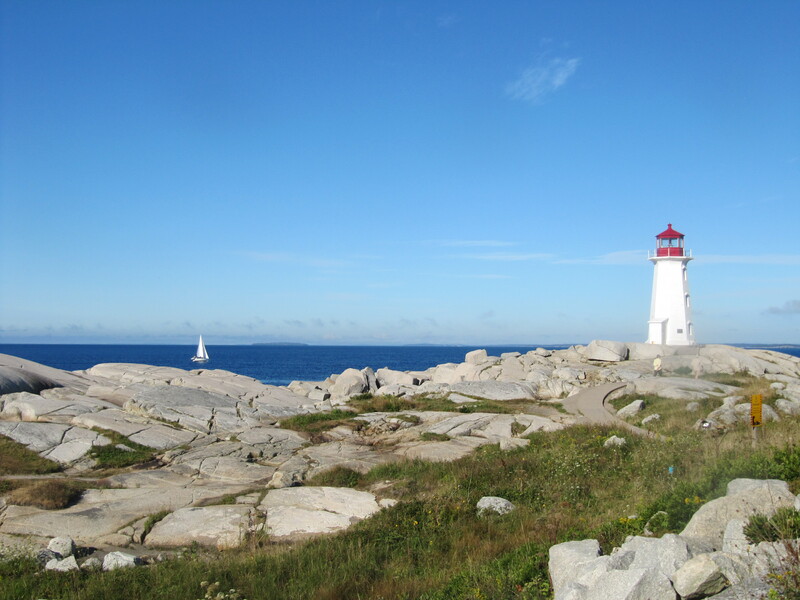 We flew into Halifax, rented a car and off we went on our Atlantic Adventure. Being the uber-planner that I am, the itinerary was set and all flights, hotels/B&Bs/car/ferry/activities were booked months ago and included a good mix of outdoor fun, history, relaxation and some new things to try. Not to worry – there was plenty of wiggle room to decompress and fit in any extras as well. I also had a list of local foods I absolutely had to eat at some point along the trip and am proud to say I achieved that. We had also tagged all the “You Gotta Eat Here” restos featured on the Food Network in the areas we would be in. Day 7: Touring PEI including Greenwich Dunes in PEI National Park, local shops, drive through Cavendish, North Rustico, Brackley Beach, then New Glasgow Lobster Suppers. Day 8: Take ferry from PEI to Nova Scotia, head to Baddeck in Cape Breton as our first stop to begin the Cabot Trail loop. Stayed in a lodge in Baddeck. Day 9: Headed to Ingonish Beach, hiking in Cape Breton Highlands National Park (3 different trails), stay at a B&B in Cape North. Day 11: Drive to Miners Museum just east of Sydney, NS. Stay in Sydney. Day 12: Head to Fortress of Louisburg south of Sydney, last night of trip. In the next series of posts, I’ll be breaking down the days and activities we tackled in each area and post some pics of the highlights. This turned out to be an amazing trip in a beautiful part of our country. We lucked out with the weather, except for one morning (which turned out to be a blessing in disguise), great food, friendly people and experiences we’ll remember for a long time. We opted to vacation in Canada this year because of the weak Canadian dollar (why sped money when you don’t need to right?) and decided on the Maritimes. We were torn between the Maritimes and Banff/Lake Louise and chose the Maritimes mainly because for the Alberta trip we want to take a ride on the Rocky Mountaineer and that would take our budget over what we were hoping to spend this year. Secondly, the idea of a road trip around the different Maritime provinces sounded like a lot of fun. So, once the decision was made, I got to planning all the details (aka my happy place). 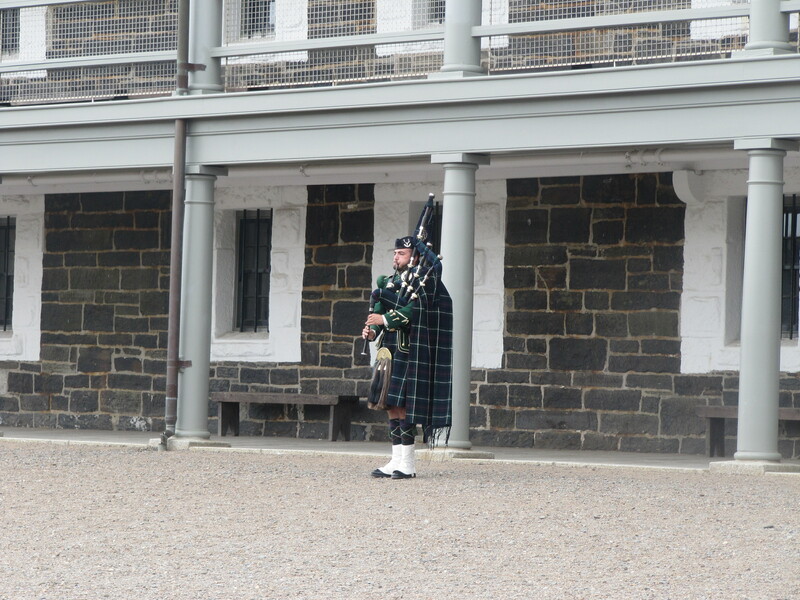 Day 1: Halifax, NS: Visit the Citadel, walk around downtown to scope out the area. 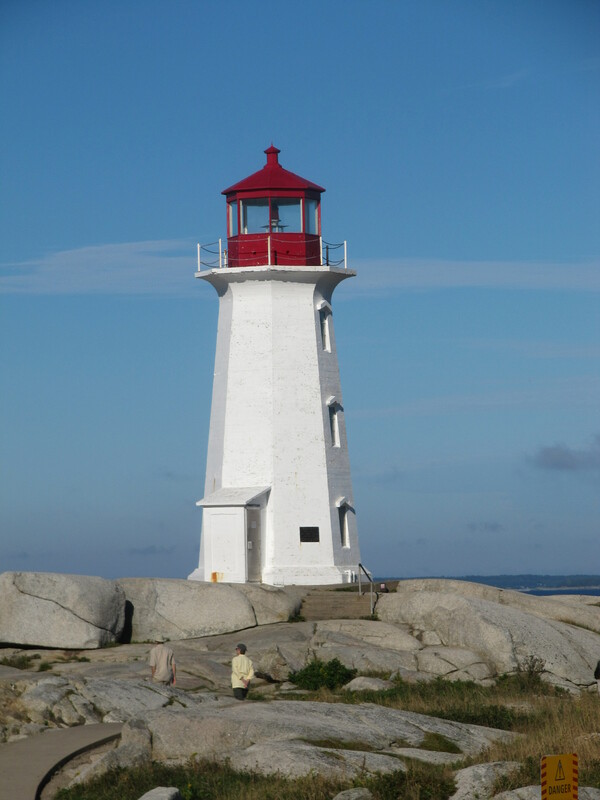 Day 2: Halifax, NS: Drive down to visit Lunenburg, Mahone Bay, Peggy’s Cove. Day 3: Halifax, NS: Sightseeing in Halifax. Day 4: Drive to Moncton, NB (perhaps through Annapolis Valley – depends on the tides), visit Hopewell Rocks, possible hike in Bay of Fundy National Park. Day 5: Alma, NB: Half day kayak tour, possible hike in Bay of Fundy National Park. 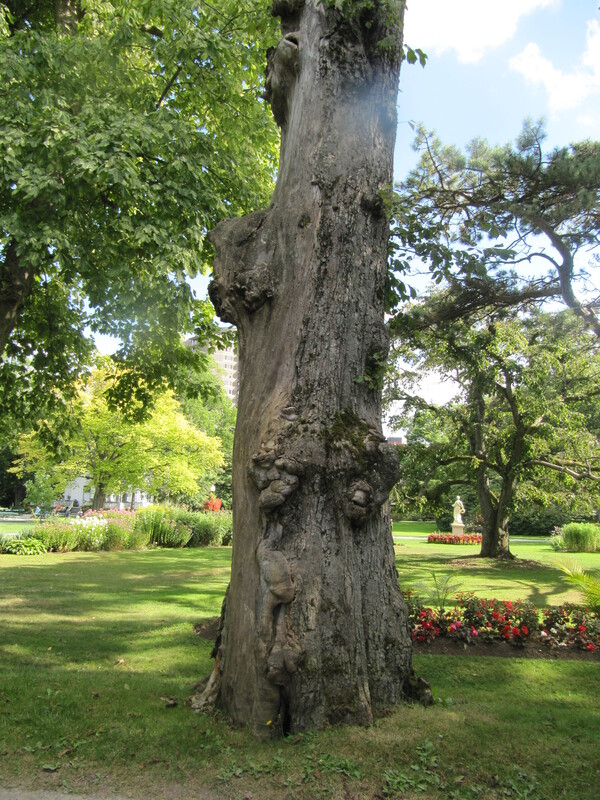 Day 6: Drive to Charlottetown, PEI: Walking tour (Heritage walk) of Old Charlottetown, Victoria Row, Victoria Park. Day 7: Touring in PEI including Greenwich PEI National Park, Central Coast Drive, dinner at New Glasgow Lobster Suppers. 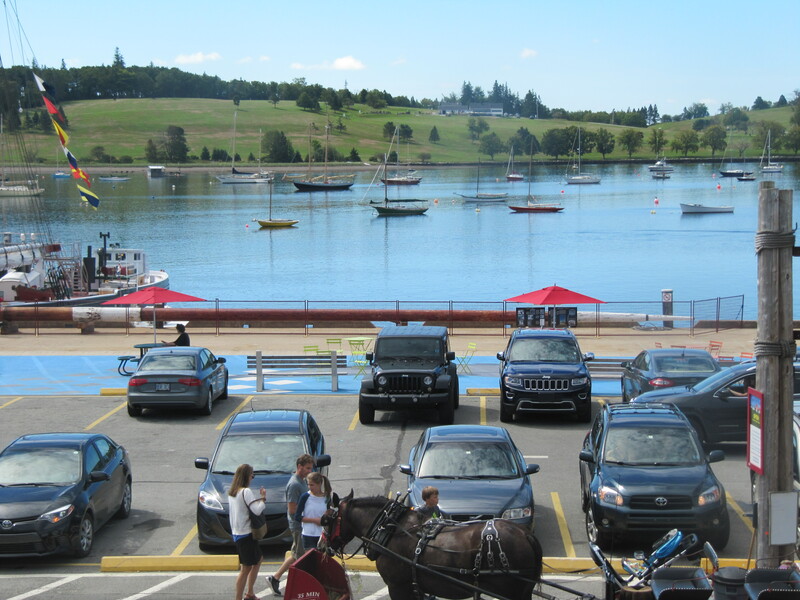 Day 8: Take ferry from Woods Island to Caribou and drive to Baddeck, NS. 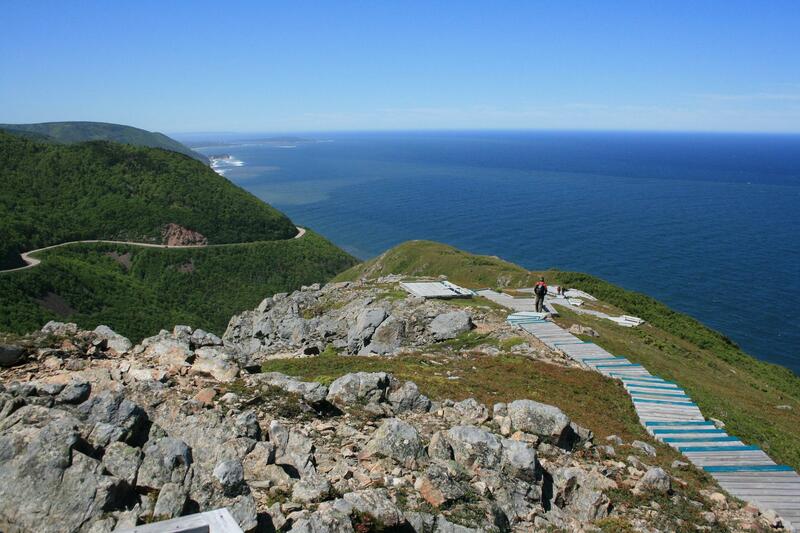 Day 9: Explore the Cabot Trail in Cape Breton – Baddeck to Cape North. Hiking in Cape Breton Highlands National Park. 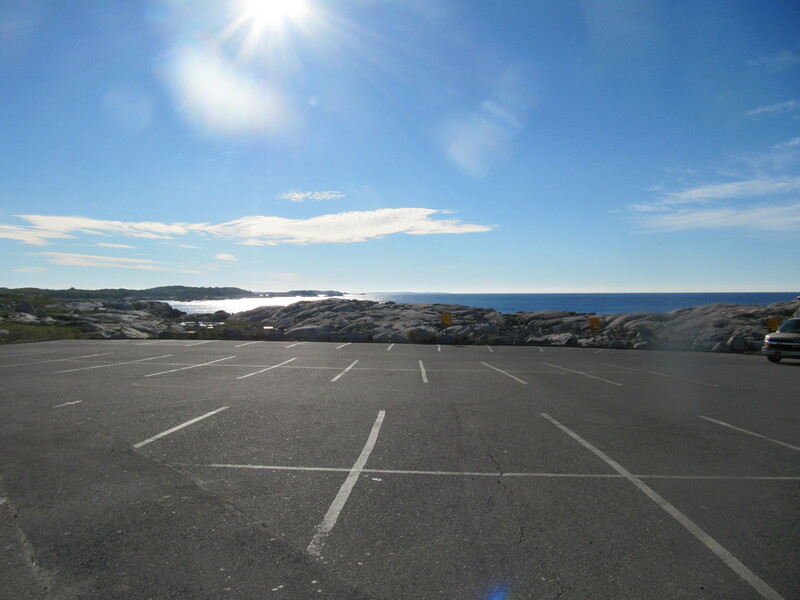 (Possible trails: Middle Head, Coastal). Day 10: Explore the Cabot Trail – Cape North to Margaree Valley. Hiking in Cape Breton Highlands National Park. (Skyline Trail). Day 11: Drive to Sydney, NS: Cape Breton Miners’ Museum. 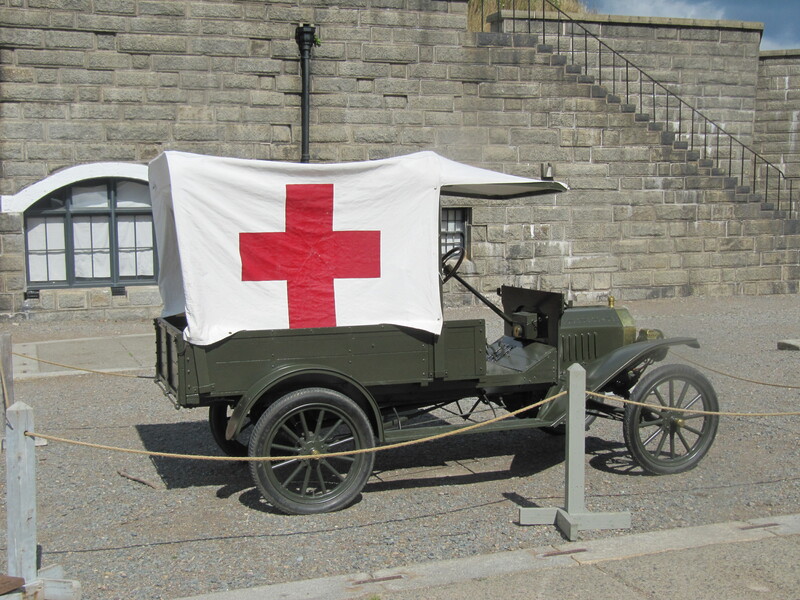 Day 12: Sydney, NS: Visit the Fortress of Louisbourg. Day 13: Depart. Return rental car at Sydney airport, fly from Sydney to TO. I’m looking forward to the seafood, the scenery, the hiking, exploring Cape Breton, pretty much everything.